Mr. Brett has continued to be a tireless advocate for the physically and mentally challenged. In 2018, he was awarded the Michael and Kitty Dukakis Lifetime Achievement Award from the Massachusetts Association for Mental Health and in 2017 he was the recipient of the Lifetime Achievement and Advocacy Award for Individuals with Disabilities from Community Works Services. In 2014 he was awarded the John “Jack” Brett Champion Award from Special Olympics Massachusetts as well as being inducted into the Special Olympics Massachusetts Hall of Fame. In 2013, The University of Massachusetts Boston established the James T. Brett Chair in Disability and Workforce Development, the nation’s only endowed chair in disability and workforce. In 1996, Bay Cove Human Services of Boston named a new community home of disabled adults the “Brett House” in Mr. Brett’s honor. He has also been recognized for his humanitarian work by Action for Boston Community Development’s Lifetime Public Service Award and induction into the ABCD Hall of Fame. In 2018, Mr. Brett was inducted into the Junior Achievement of Northern New England Hall of Fame. 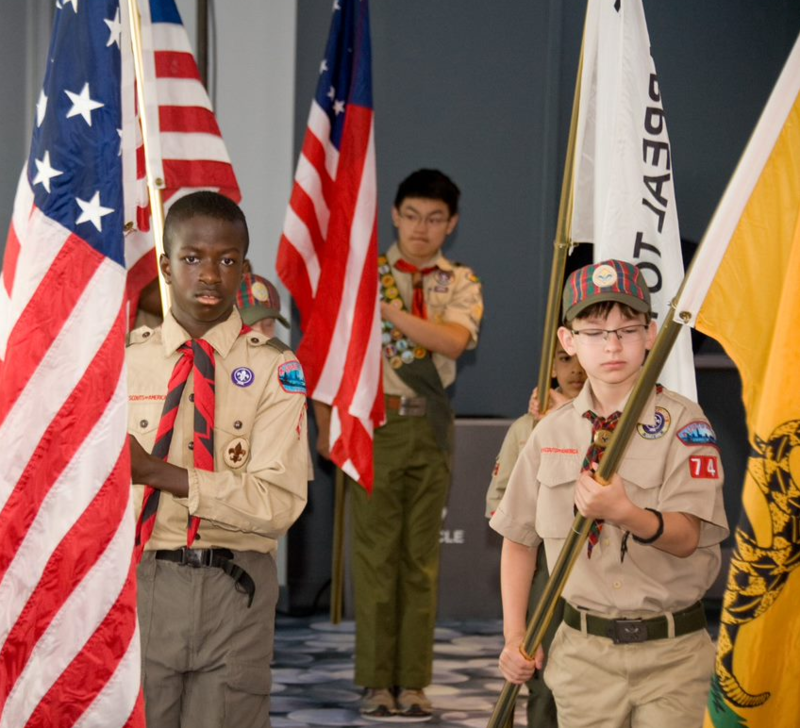 The Annual Salute to Scouting Dinner raises awareness and support for our powerful inner city Scout programs, and provides enhancements needed to remain relevant in America’s changing landscape. The Boy Scout nominating committee and Board of Directors chooses distinguished individuals to honor in recognition of their leadership and philanthropic support of the Greater Boston Community, their charitable work and business leadership exemplifies the ideals and success of Boy Scouts of America. The BSA prides itself on being one of the country’s foremost family organizations. Scouting has been making a difference in the lives of men and women for more than a century. In fact, today there are more than 50 million living Scout alumni. Altogether that number would be the 25th largest nation on earth. Those alumni have taken an oath “….to do their best…” and to be “Trustworthy” “Helpful” and “Brave.” Many of those individuals have taken that oath to heart. They have enhanced our communities and the quality of life in America. Each year the Boy Scouts of America recognize an elite group of business and community leaders who represent the ideals of the Scout Law in their everyday lives.